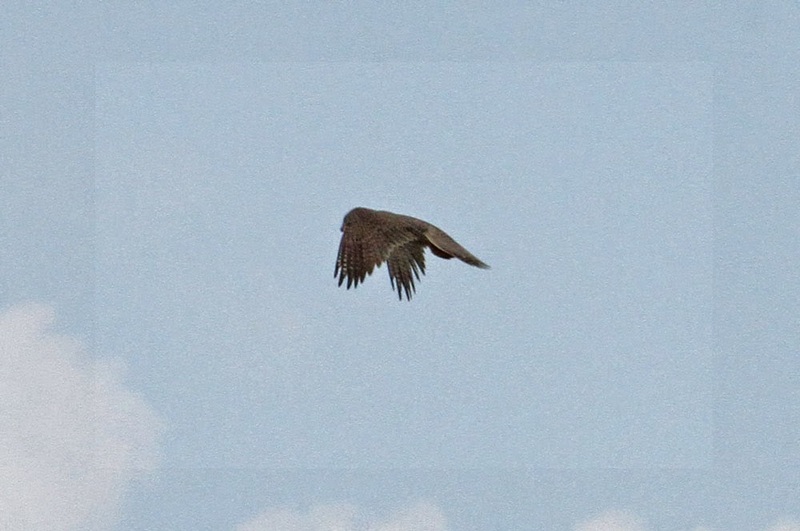 WY - do large falcons hover? Traveling south at 55 mph, our party spotted a falcon hovering in classic 'kestrel-like' manner on a ridge above Rt 191, Flaming Gorge NRA, south of Rock Springs, Wyoming. 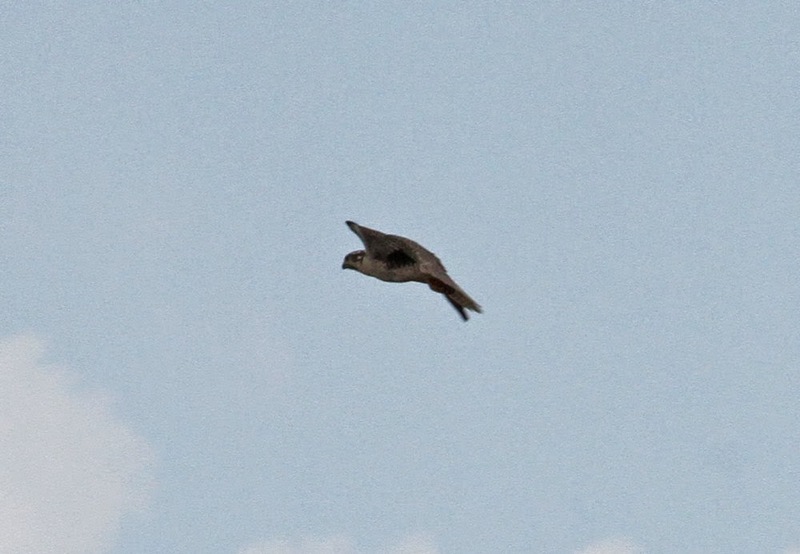 It was certainly easy to gloss over it as another American Kestrel, a species seen almost daily on our trip. 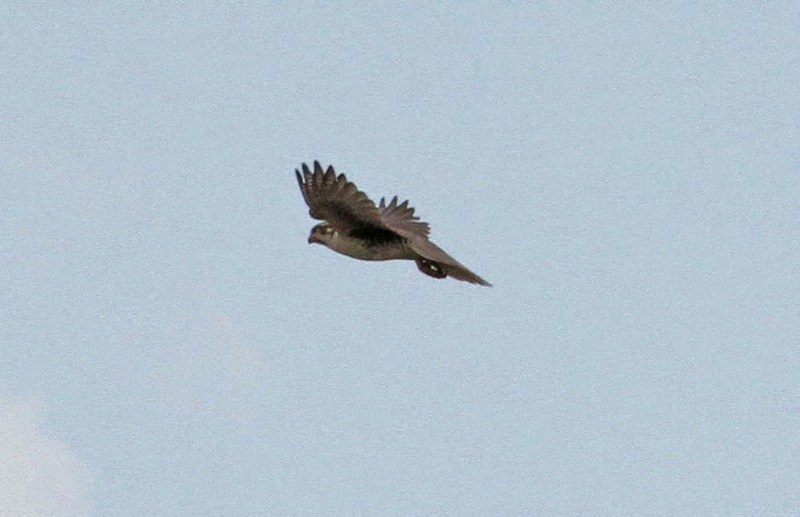 However, naked-eye views suggested something wasn't right from about this bird, though we could clearly see that it wasn't a buteo either. 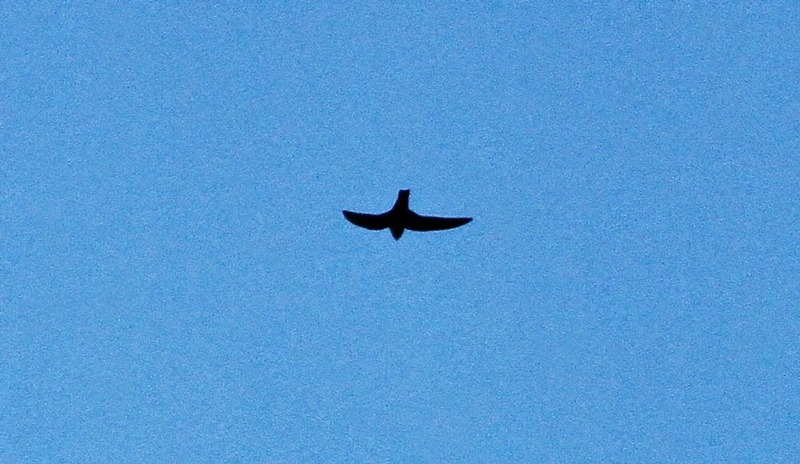 A sharp U-turn brought us back to the bird which was still hovering in the same area. Needless to say we were surprised and delighted to find that it was a Prairie Falcon, a much wanted species for our tour. 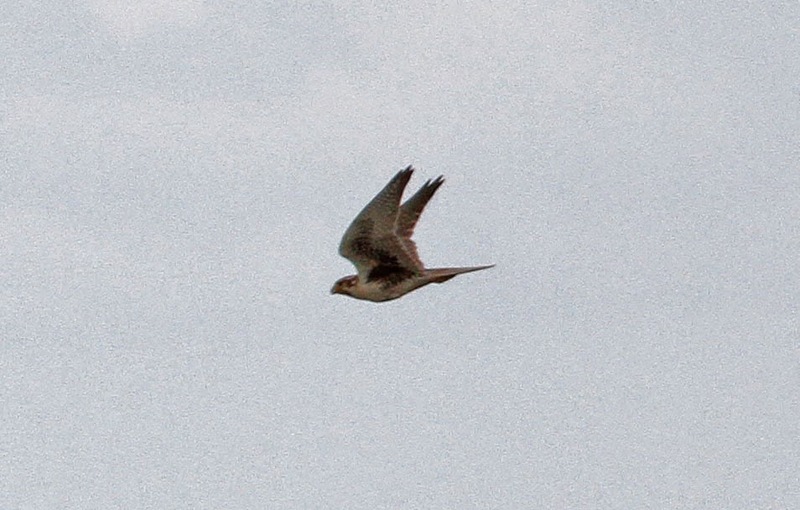 Though I've seen Peregrines 'hanging' on the wind before, I don't recall seeing any large falcon hover in such an obvious 'kestrel-like' manner as this Prairie Falcon - this despite logging a good number of field hours in the American West each year. Any thoughts/comments would be welcome. 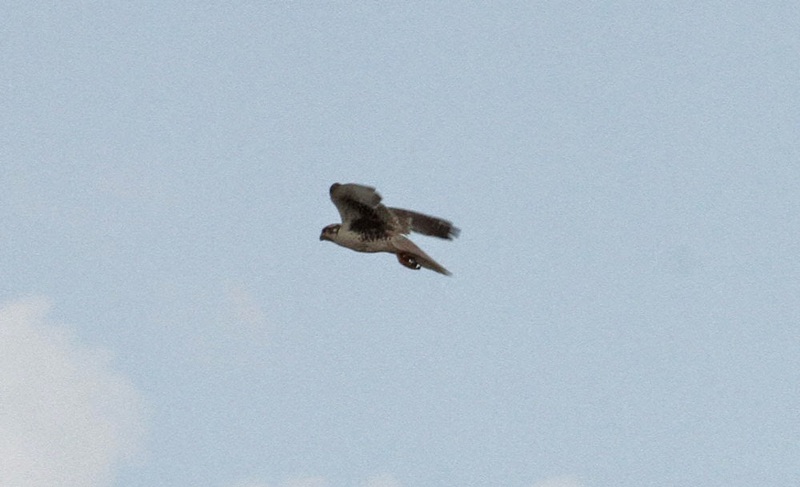 Prairie Falcon - hovering, Flaming Gorge NRA, south of Rock Springs, WY. June 10th, 2014. 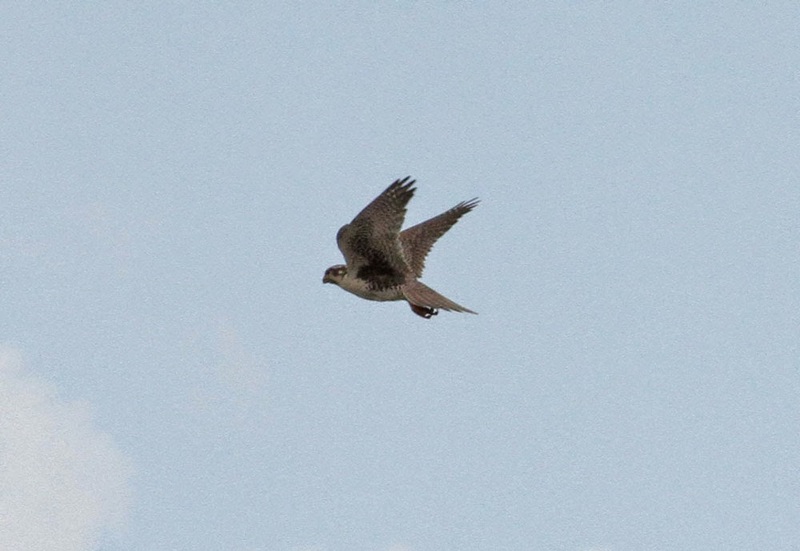 Prairie Falcon - in direct flight, Flaming Gorge NRA, south of Rock Springs, WY. June 10th, 2014. 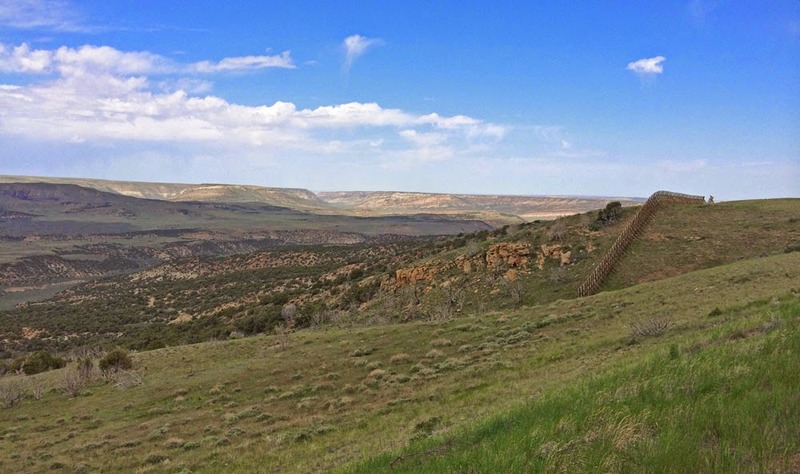 Ridge above Flaming Gorge NRA, Wyoming - the Prairie Falcon was hovering over this ridge. 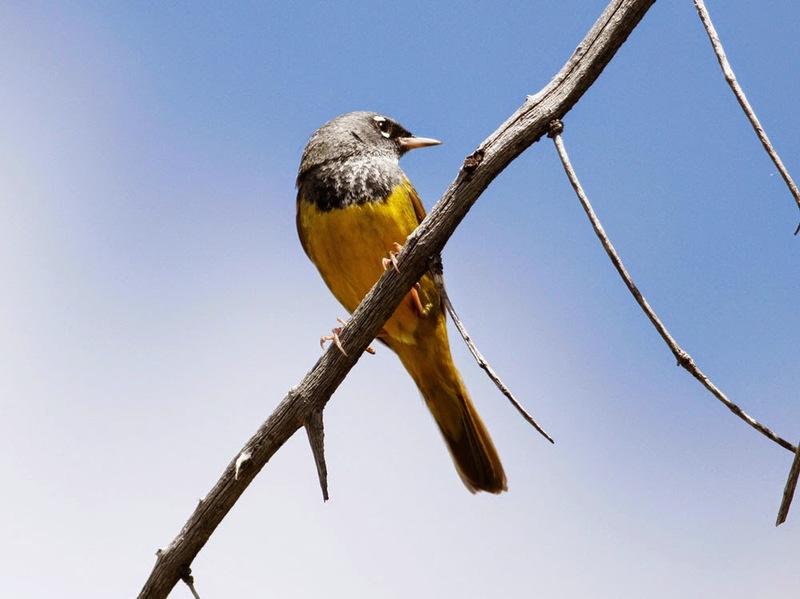 The final days of our grand tour of Colorado and Wyoming produced two very special moments, the first being at Box Canyon Falls, Ouray when we waited most of the afternoon into early evening for Black Swifts. 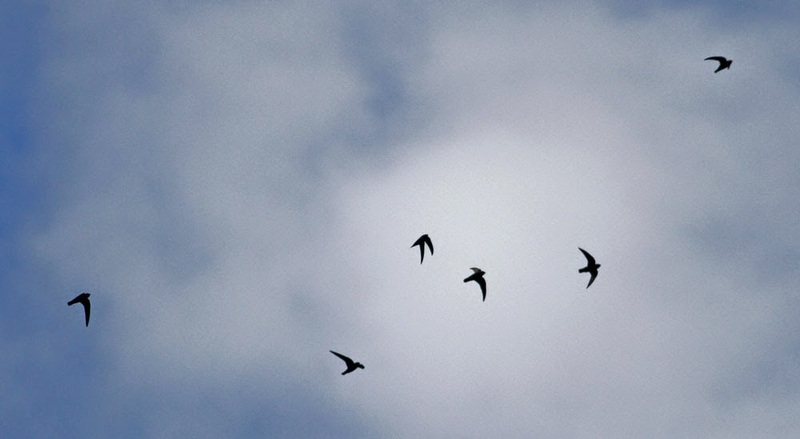 We were on the verge of leaving when one, two and then eventually nine Black Swifts appeared overhead just as the local White-throated Swifts had been doing all afternoon. There's nothing easy about swift identification in poor, fading light but eventually all of our group came away feeling totally satisfied with thier views. 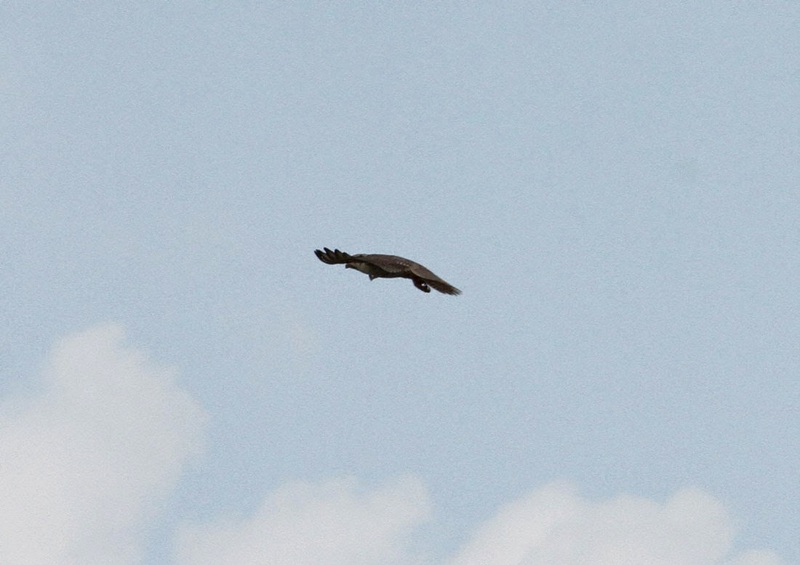 I was equally delighted to capture a few diagnostic images of these exceptionally fast-moving birds. 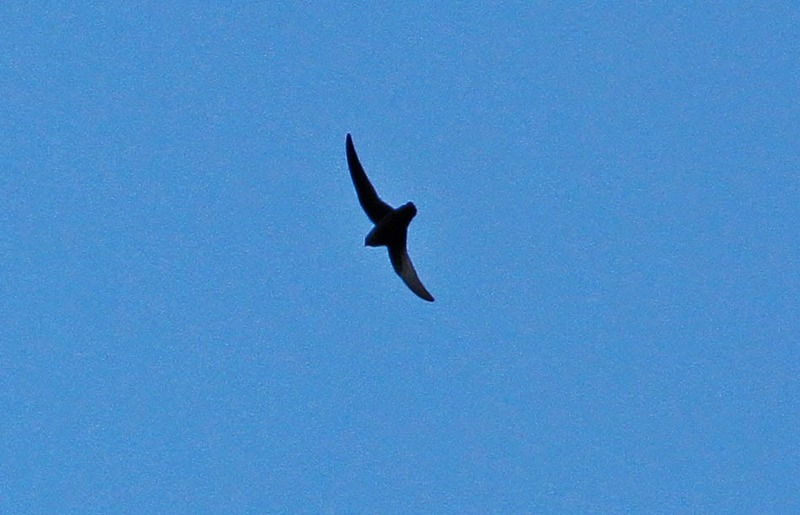 Black Swifts - Ouray, Colorado, June 11th, 2014. 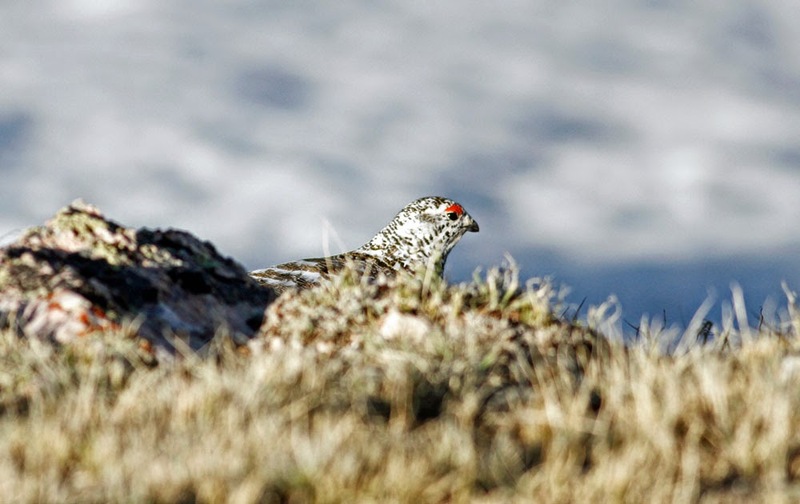 Much of our last day was dedicated to driving towards Denver but we did squeeze in an afternoon visit to Mount Evans where sharp-eyed tour participant Jim Hamilton spotted this ptarmigan from our moving vehicle, a bird found only just above the tree line. 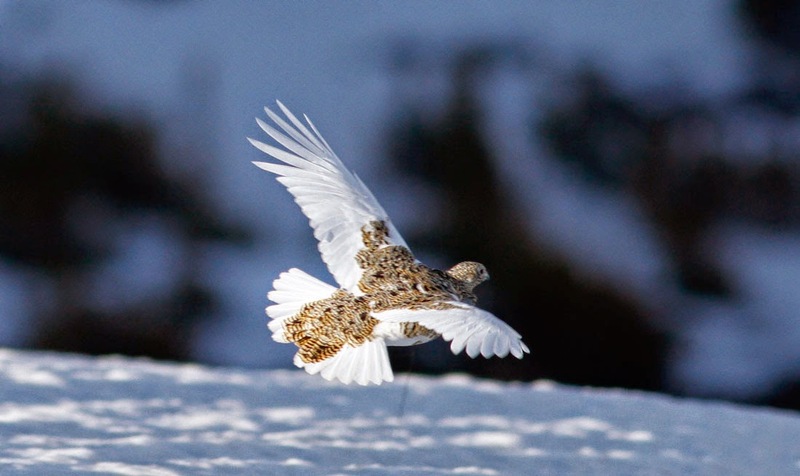 White-tailed Ptarmigan - Mount Evans, Colorado. June 12th, 2014. We are currently on our way south heading towards Colorado after five spectacular days based in Jackson, Wyoming. Naturally, we spent a good deal of that time in Grand Teton and Yellowstone National Parks. Overall it's been excellent, but dare I say that the mammals positively upstaged the birding on this particular visit? 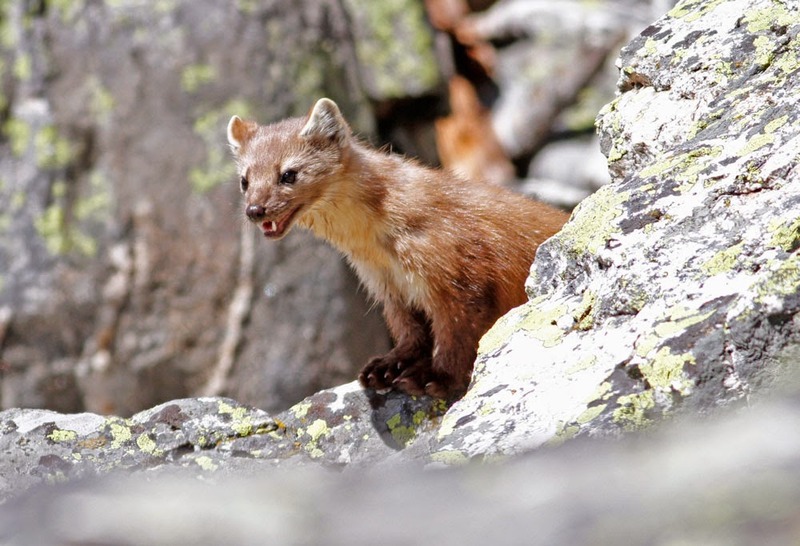 Personal highlights included a close American Badger at the roadside just north of Pinedale, and an inquisitive American Marten right next to a popular hiking trail at String Lake in Grand Teton National Park. 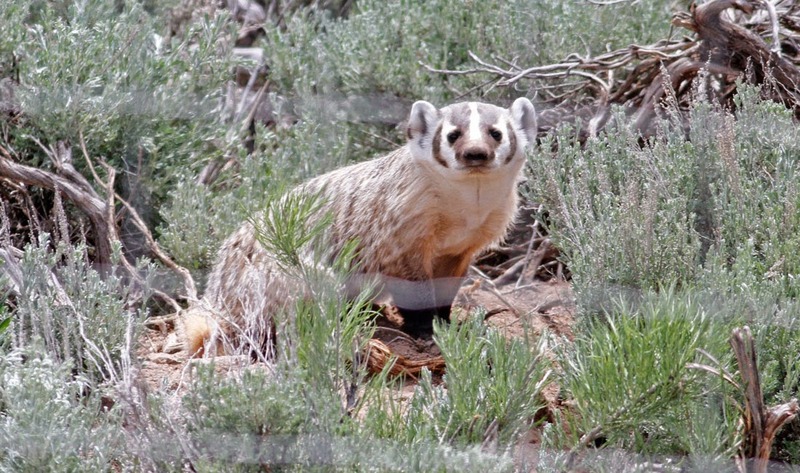 American Badger - by Rt 191, north of Pinedale, Wyoming. June 9th, 2014. We're having a spectacular trip for this species with three sightings involving four animals thus far. 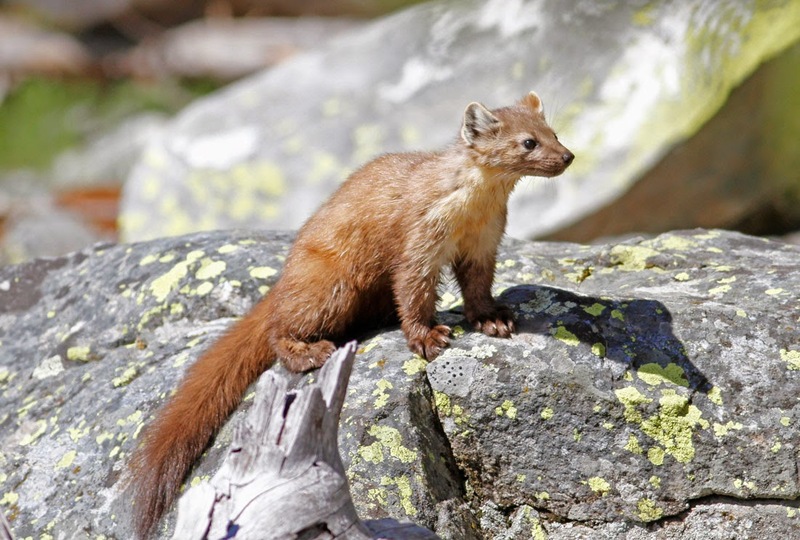 American Marten - String Lake Trail, Grand Teton NP, Wyoming. June 9th, 2014. 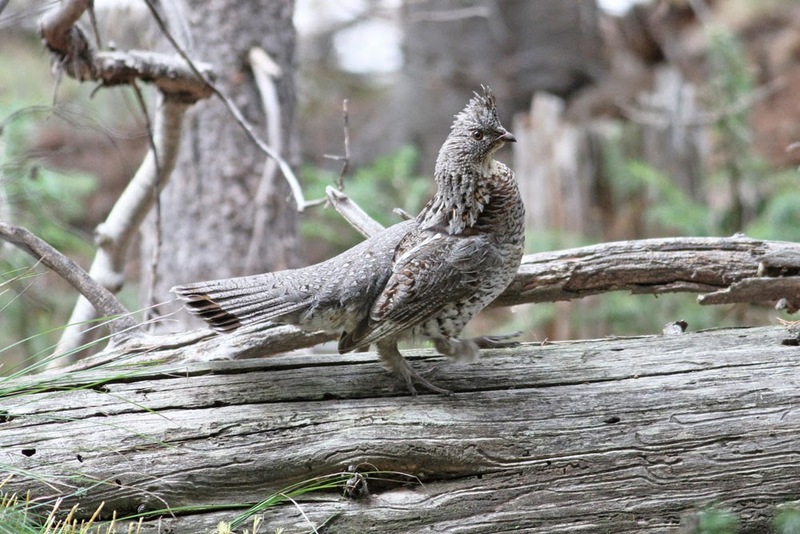 Ruffed Grouse - male, Bridger Teton NF, Wyoming. June 9th, 2014. 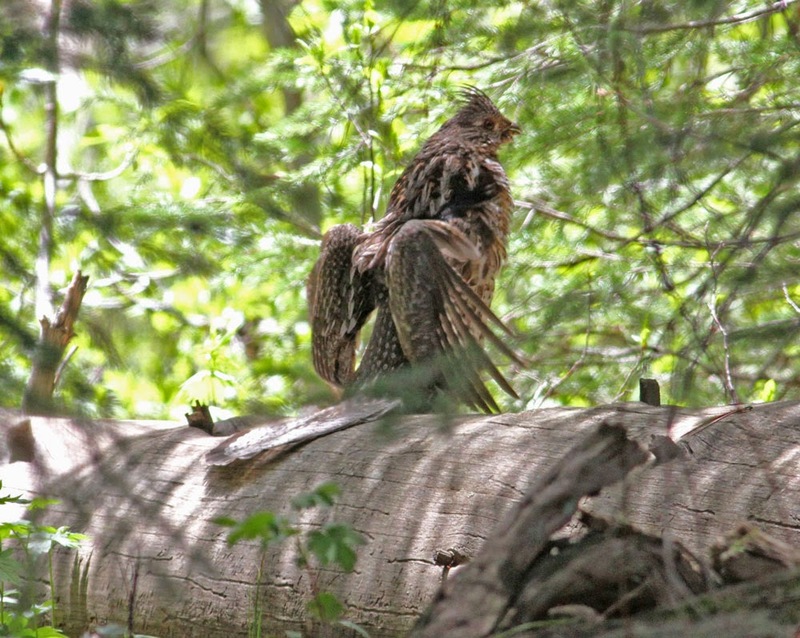 Ruffed Grouse - male displaying, Bridger Teton NF, Wyoming. June 8th, 2014. 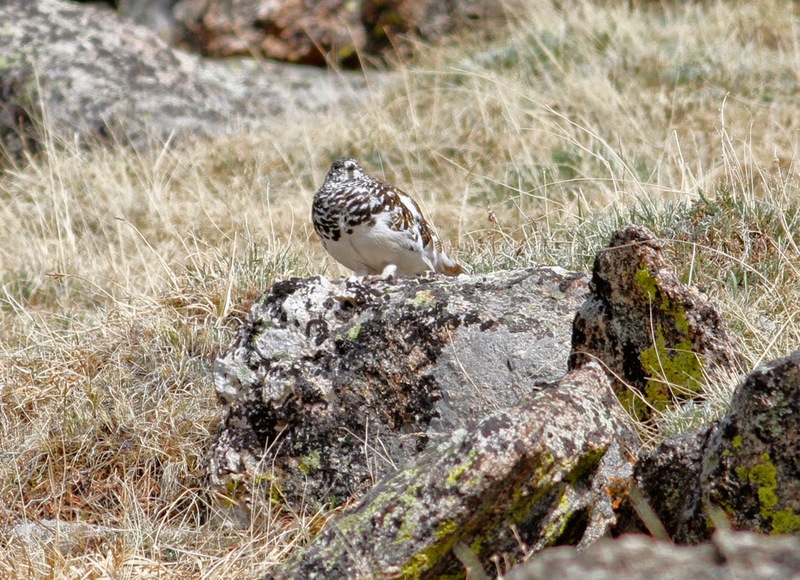 This was the first of three displaying males in just one afternoon in the National Forest. 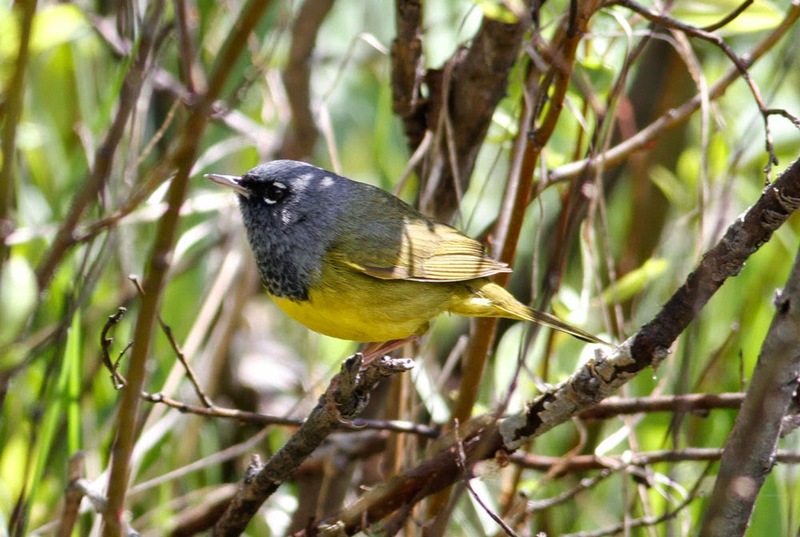 Magillivray's Warbler - male, Bridger Teton NF, Wyoming. June 9th, 2014. Magillivray's Warbler - male, Grand Teton NP, Wyoming. June 8th, 2014. We had a fantastic day of birding around Laramie beginning north of town with a much desired Mountain Plover. 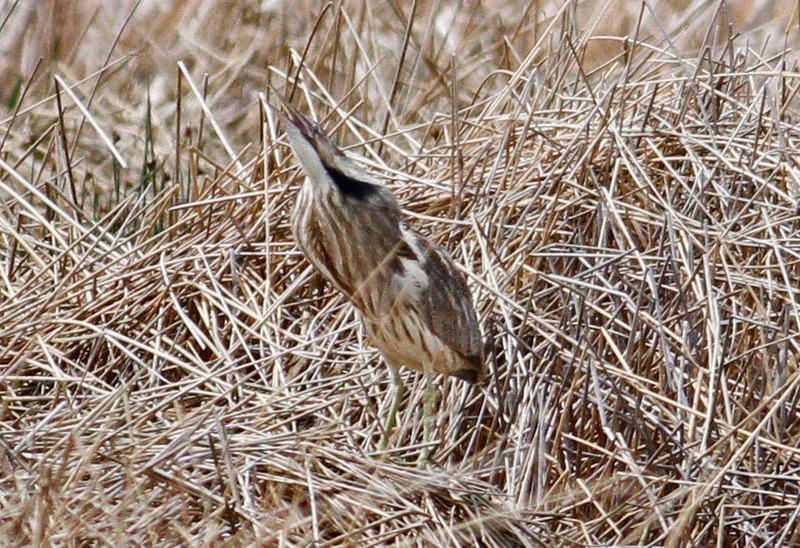 Later in the day we were treated to an American Bittern calling completely in the open near Hattie Lake. 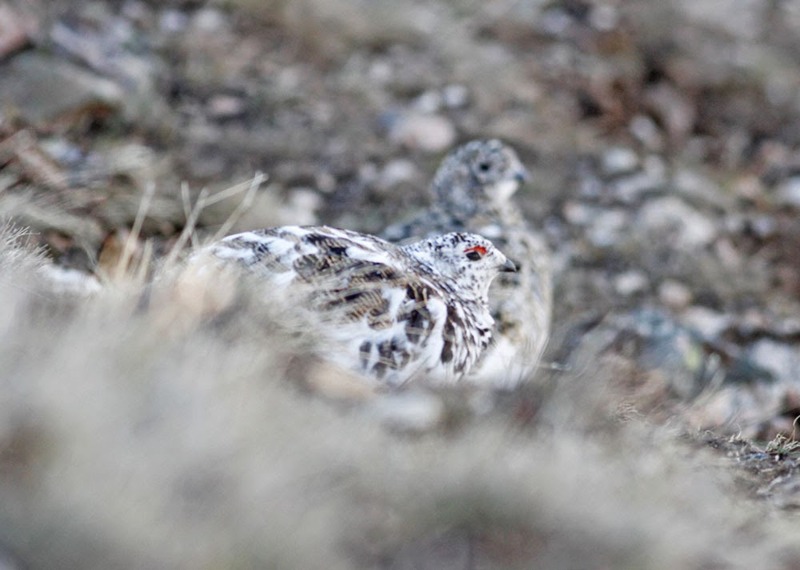 Mountain Plover (and White-tailed Prairie Dog) - near Laramie, SE Wyoming. June 3rd, 2014. American Bittern - near Laramie, SE Wyoming. June 3rd, 2014. 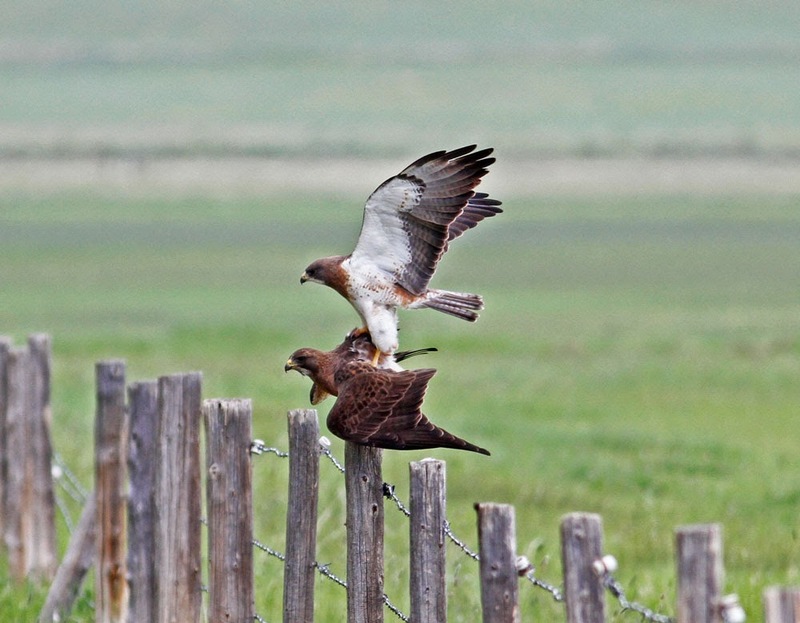 Swainson's Hawks - near Laramie, SE Wyoming. June 3rd, 2014. 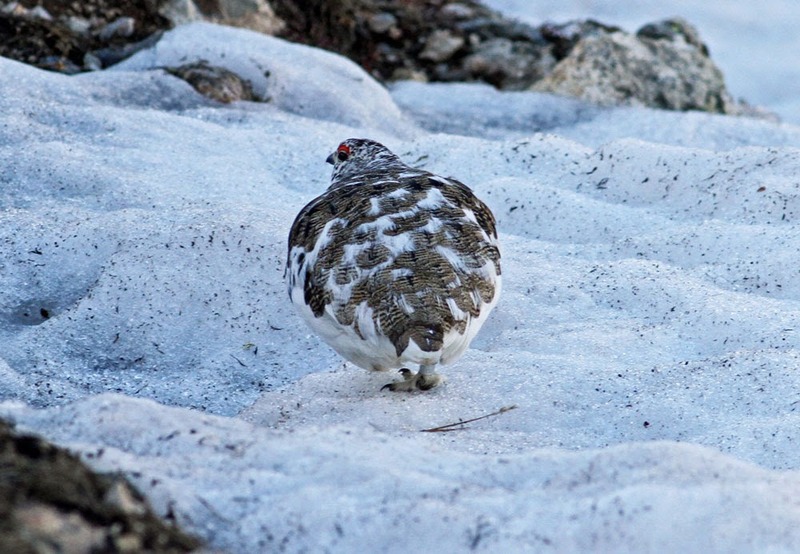 Our tour of Colorado and Wyoming gets off to a terriffic start with a pair of White-tailed Ptarmigan in the Rocky Mountains, a huge nemesis for many in our group.